First you need to copy your theme options from the free version. Step 1 – Click on the Theme Options Link under appearance in the wordpress admin. 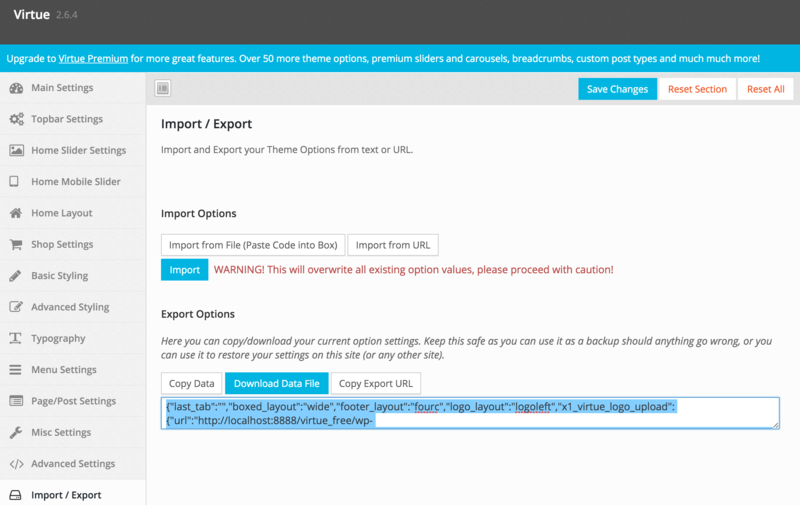 Step 2 – Click on the Import/Export tab of the theme options. Step 3 – Under the Export section click the “copy” button and select all the code in the drop down and copy it. 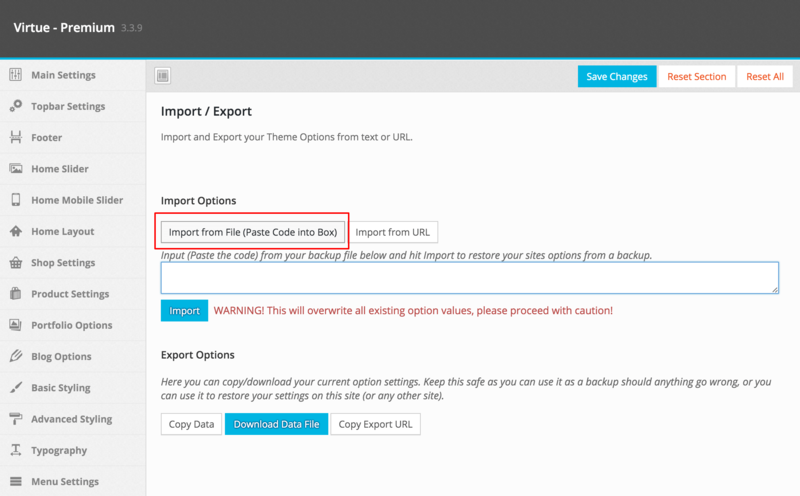 Step 2 – Navigate to the theme options Import/Export tab. 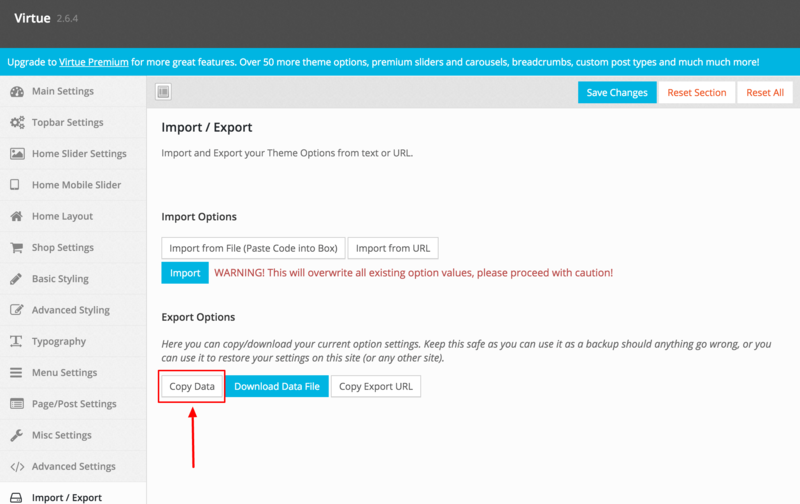 Step 3 – Under the Import section click the “import from file” button and pasted the copied code into the dropdown box. Then click Import.